I have 24 years of experience working with individuals, couples, families and groups, in both the public and private sectors. I opened my private practice in 2003, and offer a welcoming, safe and comfortable office space in Coquitlam, British Columbia. In addition to counselling, I am also an experienced Facilitator and Educator focused on creating learning experiences that help people to feel more strengthened and capable. 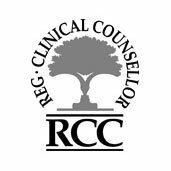 Counseling is a collaborative process that unfolds based on each individual's needs and goals. I offer counselling for youth, adults, couples and families. You are welcome to contact me directly for an initial consultation and to schedule an appointment. A key goal in every workshop is to ensure that the training is both relevant and meaningful. I offer training workshops that are tailored to the learning interests and needs of the participants. I welcome your call to consult and plan a curriculum that is based on an assessment of your needs.